Garth Gilmour gave up full time development back in 1999 to teach and mentor full time. Since then he's delivered well over a thousand courses and workshops to all kinds of programmers from all kinds of backgrounds. He started teaching C++ to C coders, then Java to C++ coders, then C# to Java coders and now teaches everything to everybody, but specialises in Kotlin. 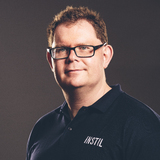 Although self employed for most of this career he came to roost six years ago as 'Head of Learning' at Instil. As part of that role he speaks frequently at meetups, presents at conferences and co-organises the Belfast BASH series of developer events. When not at the whiteboard he coaches Krav Maga, lifts heavy weights and fights nerf wars with his kids.